Running 215 miles from sea to source, the Thames is the heart of London and beyond. Spending a day on or along the banks of the River Thames will leave you wishing you could stay in this fine city a little longer. Here are some ways to make a splash. From the Houses of Parliament to the Tower of London, get London’s best views during a leisurely tour along the Thames, while getting the facts on the city’s history. Book a noontime cruise. The only thing better than taking in London on the Thames is doing it in style, relaxing with lunch, a glass of wine, or a hot cup of tea. 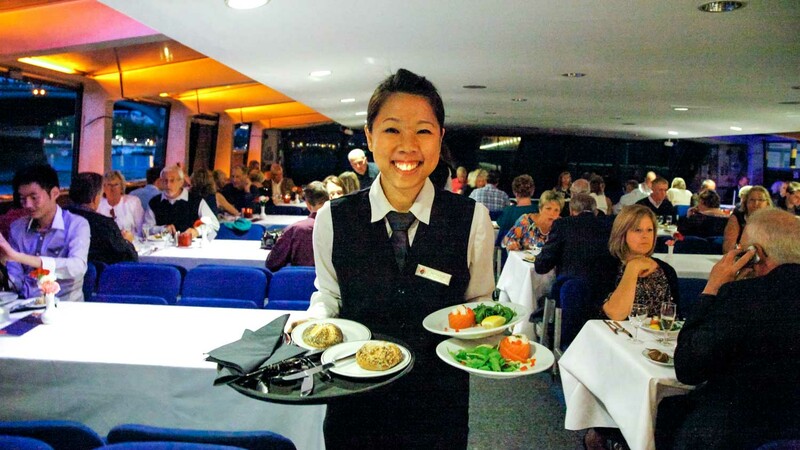 See London and its sites sparkle at night while enjoying a 4-course meal with wine in hand. You can book a boat with panoramic windows, and even a live band if you fancy that. If being on the water isn’t for you, enjoy the Thames on dry land. The walking paths can’t be beat. 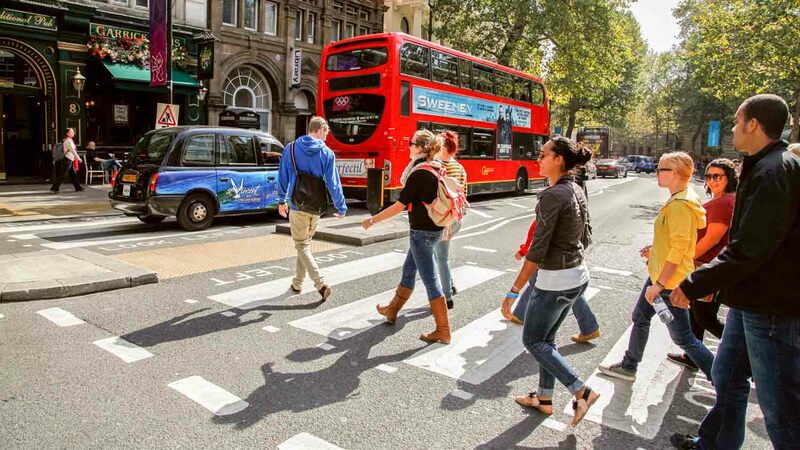 You can join a tour; a guide will point out London’s landmarks along the way. The Thames is the only river in Europe to have a national trail follow it’s whole length. 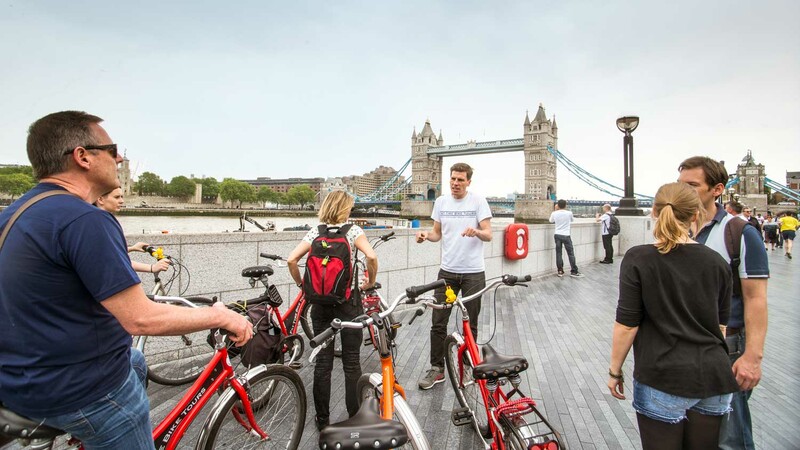 You can join a bike tour and enjoy a panoramic view of London along its beautiful banks. Londoners and tourists alike enjoy the Thames. Home to 25 species of fish, you’ll see fisherman as you dine in the many cafes and restaurants along the way. Cross its many bridges for a great view and a picture perfect postcard of London. During various times of year, you can even stumble upon a festival, such as Totally Thames in September. Head online and read about bike tours or the best of the best Thames river cruises. Whether you cruise around for lunch or dinner, or stroll with a friend on the banks, London’s panorama awaits. Where Do Boat Tours Leave From? 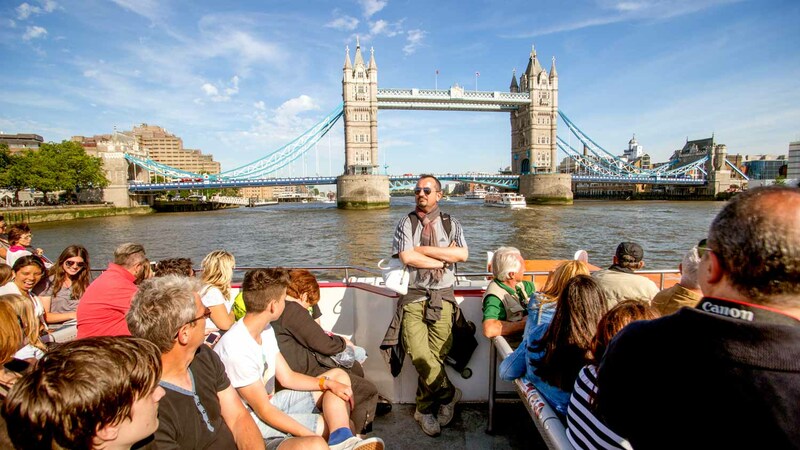 Many River Thames boat cruises leave from Westminster, Tower, and Greenwich Piers. The tour operator will include this information. Free to visit, however tour prices vary. You can get to the Thames in many parts of London. But why not take the tube to Westminster and enjoy the view from Westminster Bridge or Lambeth Bridge? Make sure to check the weather forecast before setting off on a stroll along the river. 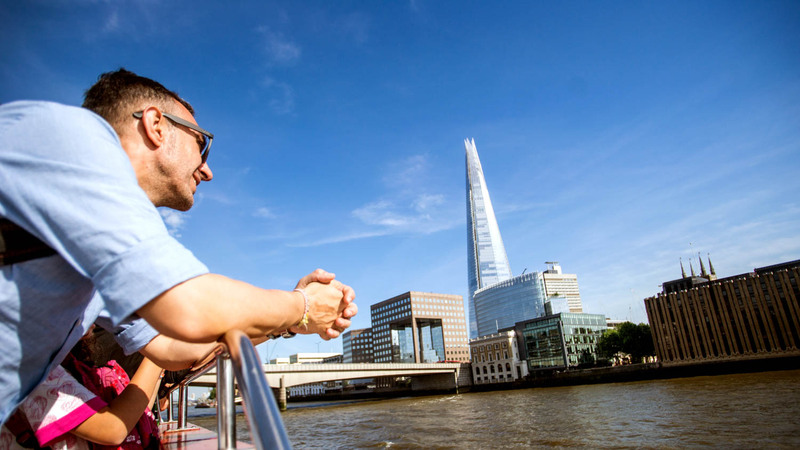 The best way to enjoy the river is by boat, so why not book onto a boat tour? Great walk through the London of Harry Potter. Cathy was driving the group with great stories. She was also using film sequence to show us the outcome of the work done from the real streets, buildings, doors... to the final film sequence. We had nice time with our 2 kids ( 10 and 14). Thanks again Cathy!